Staining log siding serves multiple purposes. Stain adds style to the exterior of a log or timber home. It also protects the surface of the home, acting as a shield against the elements, UV rays and moisture, which can damage the wood. Taking the proper precautions when staining can ensure that your log siding looks great and provides maximum protection to your home. Here are some dos and don’ts for preparing log siding for stain and applying wood stain products. Mike and Diane Arnold are relaxing on the deck of their custom-designed home enjoying a classic fall day on Lake Michigan. After ten years of planning, their dream home away from home is finally complete. Originally from Chicago, the Arnolds and their three children spent many vacations over the years exploring all that nature has to offer in Northern Michigan, water skiing in the summer and downhill skiing in the winter. To celebrate Mike’s 50th birthday, the couple purchased property in the area where they’d built so many memories. Kiln Drying Wood: Is it Worth It? 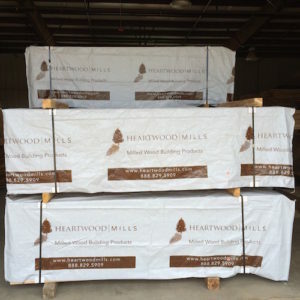 At Heartwood Mills, we believe kiln drying is absolutely worth the effort. So much so, that we consider this process to be an essential step in our production of milled wood building materials. But why is it so important to remove the moisture from our Northern White Cedar and White Pine logs? And why don’t we let nature do the work by air drying the wood? Before we explain the unbeatable benefits of kiln drying wood, let’s explore the reasons why some mills choose to forgo this important process. 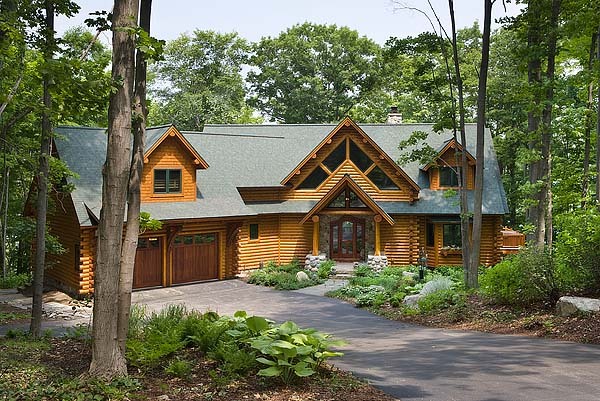 Log homes have a wide appeal. Today, log homes come in all sizes and styles from simple hunting cabins in the woods to stunning, high-tech luxury homes. But one thing most builders of log homes have in common is a desire for a rustic look and feel. Wood has an unmatched natural beauty that brings calmness and elegance to living spaces. Whether you’re building a log home from the foundation up or just want to bring a few design elements into an existing home, these tips will help you get that rustic log cabin feel. End-matching isn’t a new phenomenon. The process, which involves double-end trimming wood siding, paneling and flooring pieces and precision milling a tongue-and-groove on the plank ends, has been a building practice for more than 20 years. Yet, some builders remain hesitant to use end-matched wood. The biggest concern is often just that it’s different. Rather than 12- to 16-foot lengths, end-matched boards come in 2- to 8-foot tallies. At Heartwood Mills, our bunks are composed of roughly 30% 2- to 5-foot lengths and 70% 6- to 8-foot lengths. 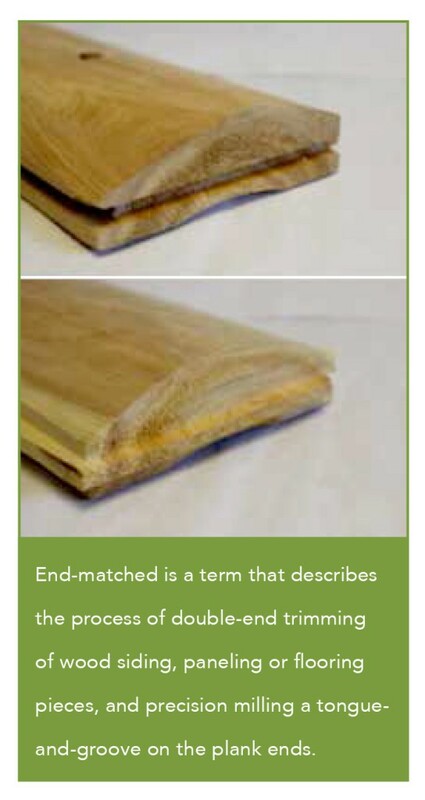 The smaller size is responsible for some of the greatest benefits of using end-matched wood. These include decreasing labor, reducing waste and enhancing the natural beauty of wood siding, paneling and flooring.